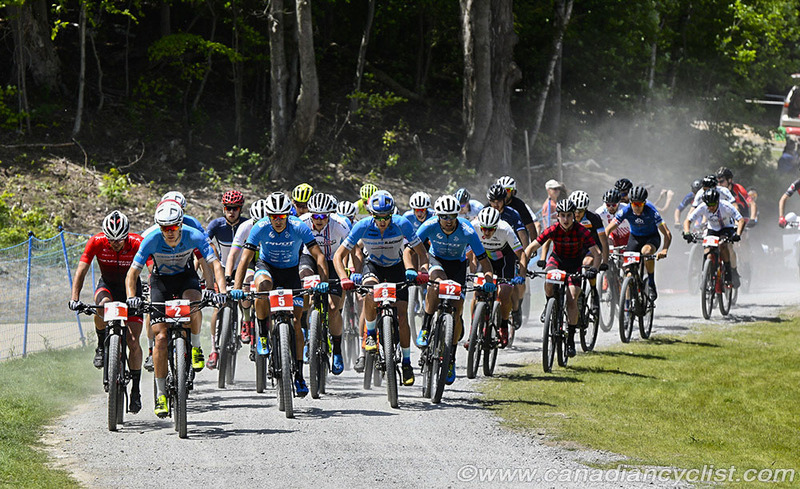 The Canada Cup national cross-country series returned to Horseshoe Valley, Ontario, on June 10th for Round 4 of the 2018 series. 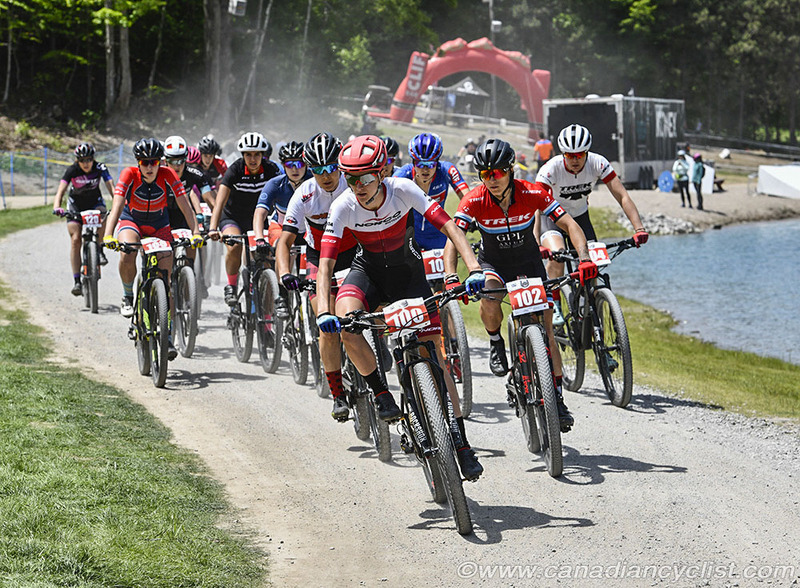 This was the first event since the opening one at Bear Mountain, Victoria, that had many of Canada's top professionals racing, after missing two rounds while they were on the World Cup circuit in Europe. 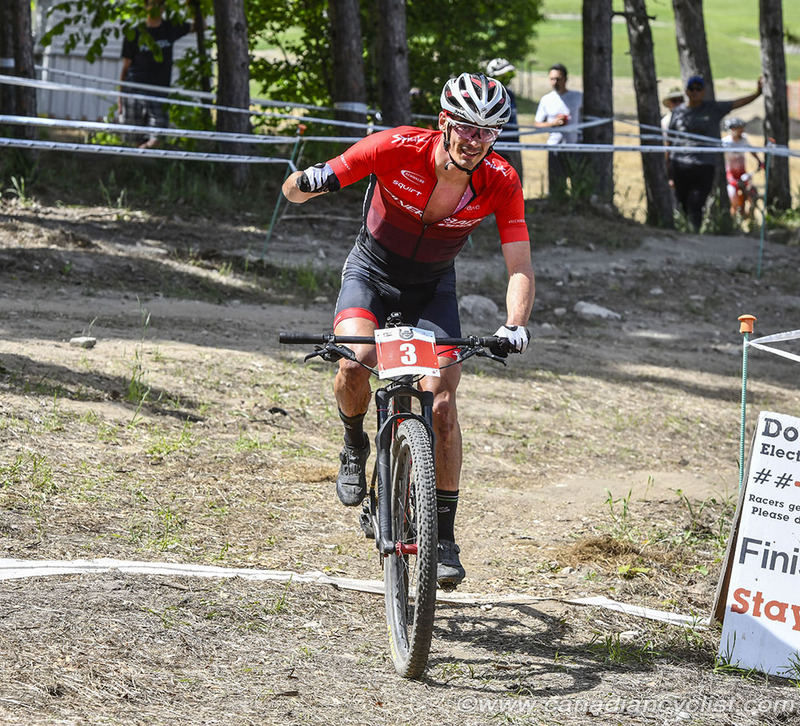 It is no surprise that the pros dominated the Elite races, with Commonwealth Games bronze medalist and defending Horseshoe champion Haley Smith (Norco Factory) winning the women's race, and 2016 Olympian Raphael Gagne (Silverback OMX) the men's. Smith attacked on the second lap, dropping Canada Cup leader Jenn Jackson (Team Ontario/AWI Racing), who took second ahead of Cindy Montambault (Équipe du Québec). Jackson continues to lead the standings with 640 points, followed by Round 2 and 3 winner Maghalie Rochette (Clif Pro) with 530 points, and Emily Unterberger (Pendrel Racing Development) with 465. The men's race was a close battle between Gagne and Andrew L'Esperance (Forward Racing-Norco) until two laps to go, when Gagne attacked, opening a gap to solo in the for the win. L'Esperance took second ahead of Under-23 riders Quinton Disera (Norco Factory) and Sean Fincham (Forward Racing-Norco), who took third and fourth. Three time Horseshoe defending champion and national champion Peter Disera (Norco Factory) had a remarkable ride up through the field to finish fifth after breaking his chain on the start line. Felix Burke (Rocky Mountain), who finished seventh at Horseshoe, continues to lead the standings with 615 points, followed by Alexandre Vialle (Equipe du Quebec/Toyota St-Eustache) at 445 and Daniel Johnson (Bear Pro Team) with 399 points. The top two riders in the Junior Expert men's series skipped Horseshoe, providing an opportunity for Charles-Antoine St-Onge (Équipe du Québec : Dalbix Siboire) to take the win, followed by Tyler Clark (Homestead Racing) and William Côté (Équipe du Québec). Holden Jones (Pendrel Racing) continues to lead the standings with 285 points, followed by Carter Woods (Dodge City Cycles/RMB/CBC) at 270. Clark remains in third, but is now only eight points out of second. Canadian Junior Expert women's champion Roxane Vermette (CC Mont Sainte-Anne) won the women's race by a significant margin, followed by Marianne Théberge (Équipe du Québec : Mathieu Performance) and Mireille Larose-Gingras (Équipe du Québec : Velo Cartel X BL Coaching). Theberge continues to lead the standings with 355 points, followed by Larose-Gingras at 280 and Madeline Robbins (Team USA) in third with 190 points. The Under-17 competition saw Juliette Larose-Gingras (Velo Cartel X BL Coaching) beat Nicole Bradbury (NCCH p/b Franklin Templeton) to maintain the Series lead with 355 points to Bradbury's 325. The men's Series saw Jeremie La Grenade (Skinouk-VDM) take his second win of the Series, with Owen Clark (Homestead Racing) finishing second to hold onto the leader's jersey. Clark has 340 points, followed by Round 1 winner Jakob Yells (River City CC) at 283 points and La Grenade at 227. 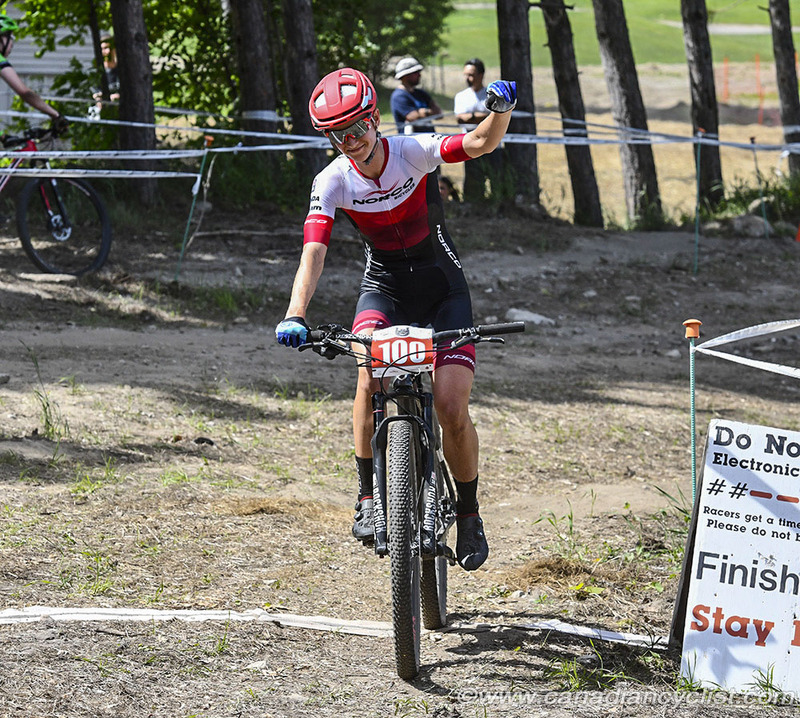 The Canada Cup XCO series continues with Round 5 at Hardwood Ski and Bike in Oro Station, Ontario, on June 17th.